Equipped with a sturdy body and durable moving parts, including a paper guide that easily adjusts to fit your document, the DR-M160II is built tough to get the job done as smoothly and effortlessly as possible. The heavy-duty feed tray can hold up to 60 sheets. The slanted paper path design ensures smooth handling for everything from thick or thin documents to multi-sheet forms, checks, embossed cards, etc. Capable of producing high-quality 24-bit images in full colour at 60ppm via simple front panel operations, DR-M160II is everything you need for your intensive document. In addition, the double feed detection and separation retry functions automatically correct feed errors to maximize efficiency. 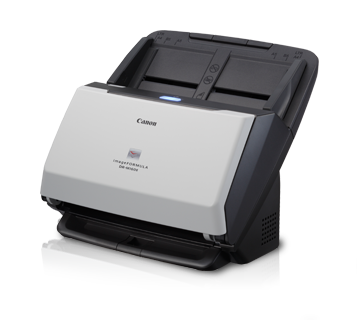 The Automatic Colour Detection differentiates colour documents from your black & white for easy scanning, so it's no longer necessary to separate black & white and colour documents prior to scanning.